Every good burger deserves a sequel, but sometimes even not-so-great burgers get sequels, too. As a follow up to last year’s post, The Fast and the Curious, this week I visited fast-casual burger chain BurgerFi, who recently opened a location in Philly near the Pennsylvania Convention Center. BurgerFi is kind of like if Shake Shack & Five Guys had a baby: They use peanut oil on their fresh cut fries, they serve their burgers on potato rolls, they give you a buzzer while they prepare your order, and they’ve got plentiful taps pouring craft beer. They also tout themselves as serving “all natural burgers” using Angus beef and “brand” the outside of the burger bun with a charred BURGERFI stamp. 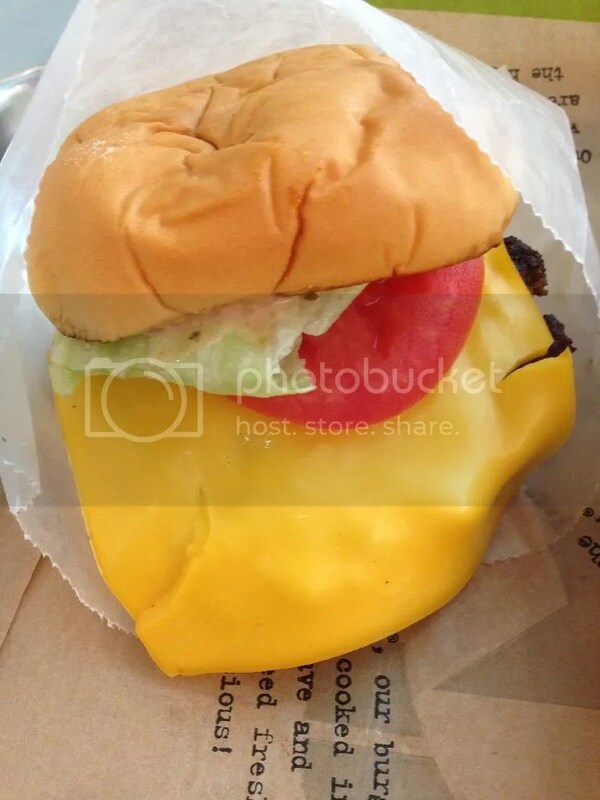 I opted for the BurgerFi cheeserburger: A double natural Angus burger topped with double American cheese, lettuce, tomato, and BurgerFi® sauce. 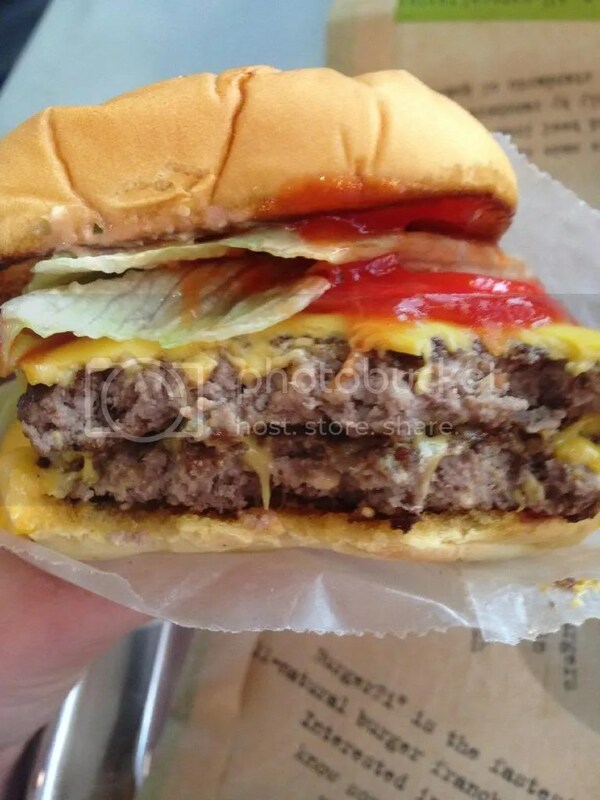 The burger itself contains two thin double stacked patties like Five Guys and they’re on a toasted potato roll like Shake Shack. Unlike Shake Shack, the patties had a little bit of a grill-top char to them and unlike Five Guys, these burgers weren’t very juicy. I didn’t think the Angus beef had any flavor to it, unlike the distinct profile of the La Frieda meat used at Shake Shack and the “secret sauce” was also bland and barely existent. As you can see, my burger did not carry the signature BURGERFI stamp (perhaps this is something they don’t have time for during the lunch rush?) and the cheese was barely melted. The fresh cut fries were thick and crispy – they also didn’t give you two pounds of them like Five Guys does, which can be either good or bad depending on which you prefer. Verdict? For a burger, fries and a drink, the price point was slightly high for a fast-casual chain, coming in around just over $13 while I’ve easily only spent $10-$12 for the same items at Shake Shack & Five Guys. Between the cost and the lackluster food, I doubt I would choose this place over one of its better, tastier counterparts. Posted in buns, burger, BurgerFi, burgers, Center City, char, craft beer, fast-casual, Five Guys, fries, potato roll, shake shack. Bookmark the permalink.